The increase in demand for peanuts mean more opportunities for farmers. 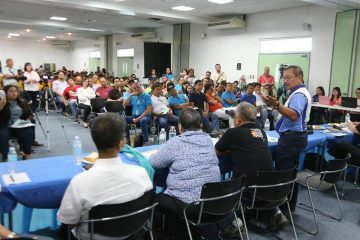 Tapped as guardians of the local watershed, the Aguila Farmers Association (AFA) in Sitio Aguila, Suawan, Marilog District in Davao City were promised assistance from various environment-based organizations. But years passed and hope faltered as the promises remained unfulfilled for these farmers, who are mostly from an indigenous tribe. 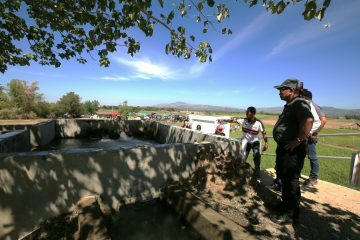 Their morale plummeted and they “…lost their interest to engage in livelihood projects,” said Suawan agricultural technician Selene Sargado. 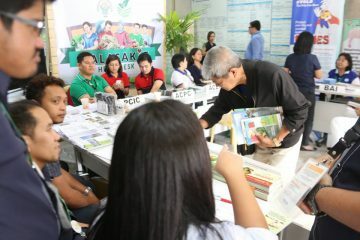 As their technician, Sargado had been looking for ways to restore their hopes of better incomes, and sought assistance from the Department of Agriculture (DA) in the region. One viable option offered to them was peanut production, which the DA High Value Crops Development Program (HVCDP) is promoting to generate income over a short period of time. Demand for peanut is increasing as it is a nutritious snack and an ingredient for various Filipino dishes and confectioneries. Peanut oil is also extracted for food and industrial uses. “There is a shortage in peanut production and our country is greatly dependent on importation to meet the increasing local demand. We are encouraging local production as part of DA’s import substitution,” said HVCDP regional coordinator Melani Provido. 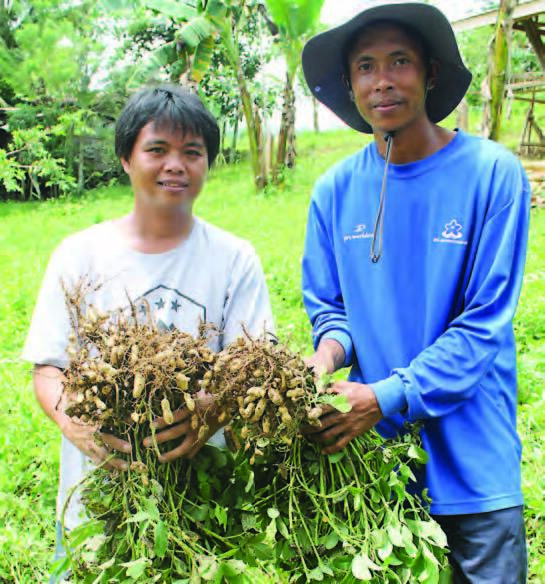 Aguila Farmers Association chairman Janil Amaya (left) and vice-chairman Albert Impas took the lead and encouraged their group to venture into peanut production. In April 2016, the AFA ventured into peanut production after receiving eight bags of peanut seeds (containing 55 kilos each) from the DA-HVCDP. 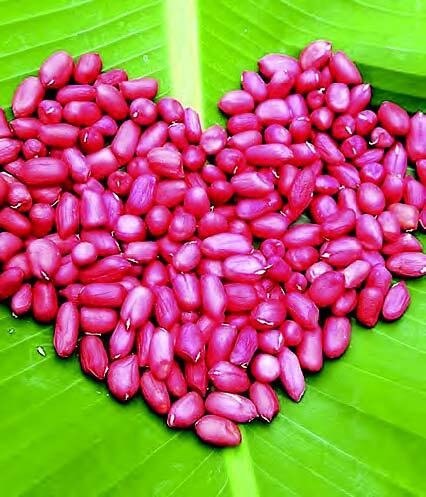 The peanut seeds were of the two newest confectionery varieties: Asha and Namnama. Coincidentally, “Asha” is a Hindi word while “Namnama” is an Ilocano word—and in both languages, they have the same meaning—hope—reflecting what the crop has helped restore to AFA members. Amaya observed that peanut production turned out to be more profitable compared to corn production, whose yields are usually priced at only 12 per kilo. “We sell our wet peanut pods at 45 per kilo and dried peanut pods at 55 per kilo. Shelled peanuts are sold [for] at least 90 per kilo,” he said. As it has a good track record for project implementation, the DA-HVCDP has poured in more assistance to the association. These include the provision of a farm tractor, which has enabled them to efficiently plow and till their fields to expand their peanut production area. “Since we lack [a] farm-to-market road, the farm tractor is very useful in hauling our inputs and farm produce along narrow and muddy pathways,” said Amaya. Samples of Namnama Red shelled nuts. Moreover, the AFA also received power and knapsack sprayers, drums, and plastic crates from the DA-HVCDP, which expanded not only their peanut but also their cacao, rubber, and vegetable production. Under the HVCDP spring development program, the AFA was also the recipient of a multi-purpose water system which now serves both as their source of irrigation and a potable water supply. 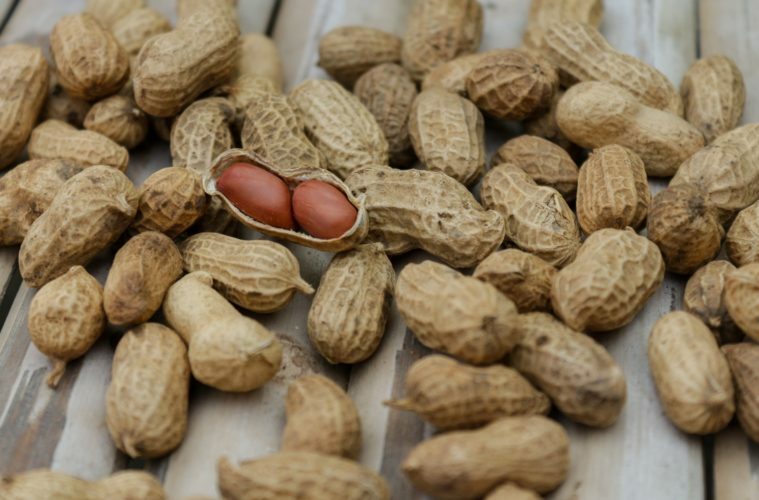 “The water system enabled us to continue our peanut and vegetable production even during the dry spell,” Amaya said. 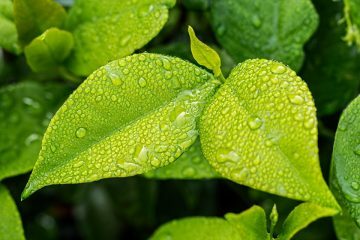 The AFA has proven that managing a watershed is not only limited to growing trees. 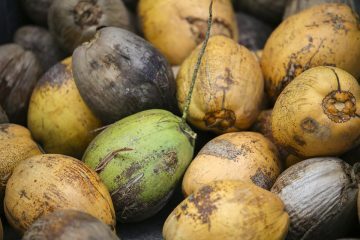 “Growing cash [crops] such as peanut can provide a source of income while conserving our forest trees,” Amaya said. 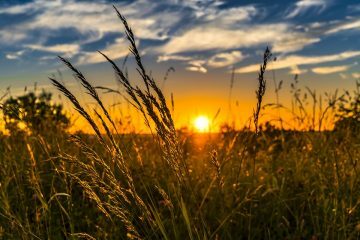 This story appeared as “Nuts of Hope” in Agriculture Monthly’s December 2017 issue.